There are two certification examinations that make up the MCSA Office 365. The background, requirements and details are listed here and are partially shown in the graphic below. In short, to certify you need to pass 70-346 and 70-347 (the 70 simply identifies the retail examination, there are other codes for Academic and Academy exams- the content is identical, as is the passing score). Why am I telling you all this, well I wrote a blog post last month about Self-Study, relying on my past life as an MCT (Microsoft Certified Trainer). As a trainer I do advocate all manner of training methods, not least MOC (Microsoft Official Curriculum) and MOAC (Microsoft Official Academic Curriculum), indeed I have written them before now for Windows Server 2012 and for Windows 8. Classroom based training is one of the methods that works very well for thousands of delegates and students every year. There are those, however, for whom the course is out of financial range or the time required away from work is too great. If that is the case for you, the reader, then this series of blog posts is definitely for you. To recap, we have so far dealt with the theory of making time, finding resources and actually studying for technical exams. I also decided that since I hadn’t taken any Microsoft exams since March and that I had been exceptionally sub-optimal in the BETA versions of the Office 365 tests, that I would ‘put my money where my mouth is’ (For the reader, Sub-optimal relates to a score below 700 which is the score required to pass the exam. I don’t consider it a fail, especially when teaching young people and apprentices, ‘failure’ is such a hard concept to grasp since the modern schools system doesn’t really have competition or failure in its curriculum – wrongly in my opinion but that is an entirely different subject for a post all of its own). So I set myself the target of passing the Office 365 MCSA before July (this year) and yes I do like a challenge. Unfortunately I was unable to book both exams within the time limit (I was not about to forego my holiday to the Glastonbury Festival or give my tickets to our editor Steven Mullaghan, much to his disappointment). The second exam will be ‘in July’ sometime. I wasn’t left with much study time,my role as a Technical Evangelist keeps me on the move, on my toes and rather buy, to say the least. 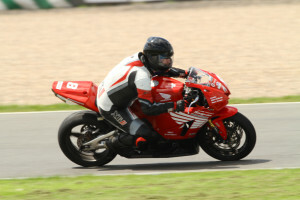 I posted my decision to retake within June on 2nd June and since then I have been on MVP Roadshows presenting on People-Centric IT, System Center 2012 R2 IT Camps, Planning for FY 15 (which starts next week), racing round Donington park grand prix circuit with the Microsoft Motorbike Club (proof below) and manning the Cloud World Forum stand at London Olympia. The purpose of my little story above is to explain that the time available significantly alters the methods I use to study. 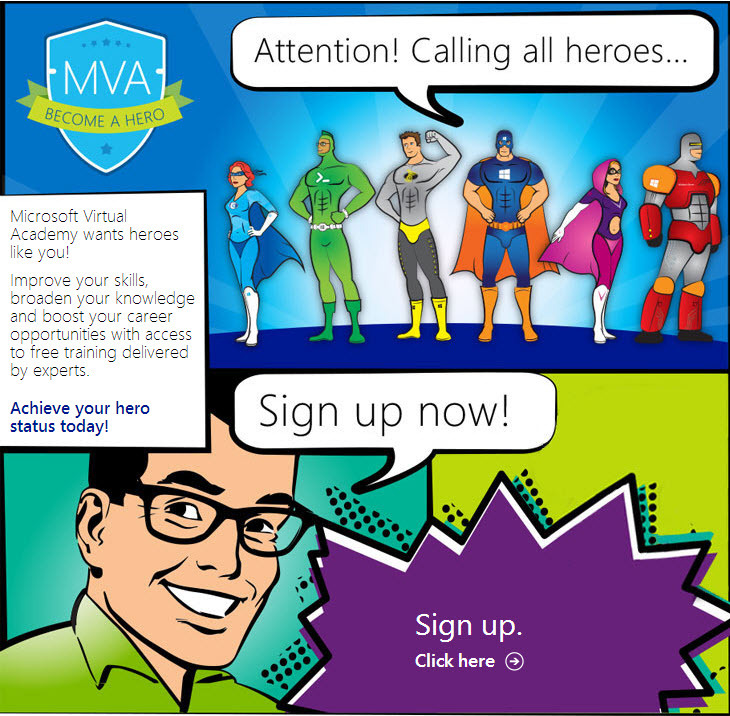 Given time, I may explore every avenue of the product and read books, use it in anger, go to the Microsoft Virtual Academy (MVA) and checkout the Jump Starts and other courses. I may even use my status as an MCT to access the MOC courseware library and download the Virtual Machines and the trainer materials and run the course for myself. Sadly not enough time for those methods this time. 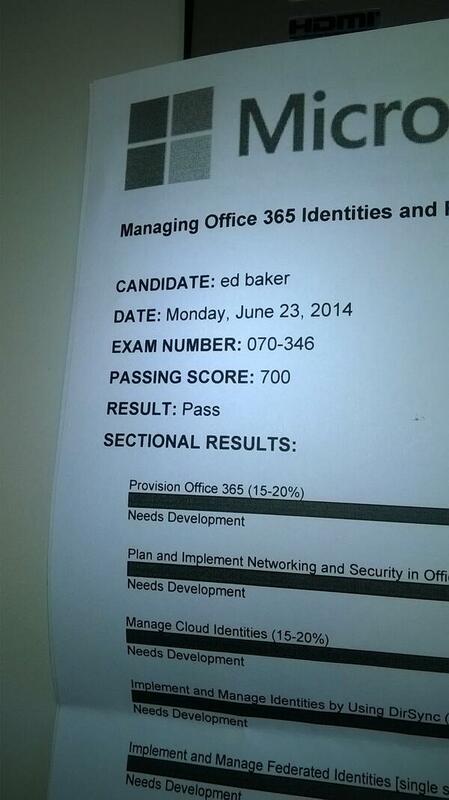 Although I did use the MVA course designed to support this 346 test and the 347 one. 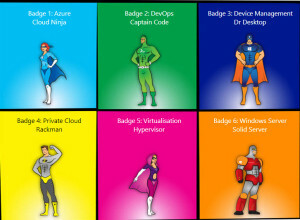 An excellent resource of free technical training from highly skilled and technical Microsoft staff and partners. 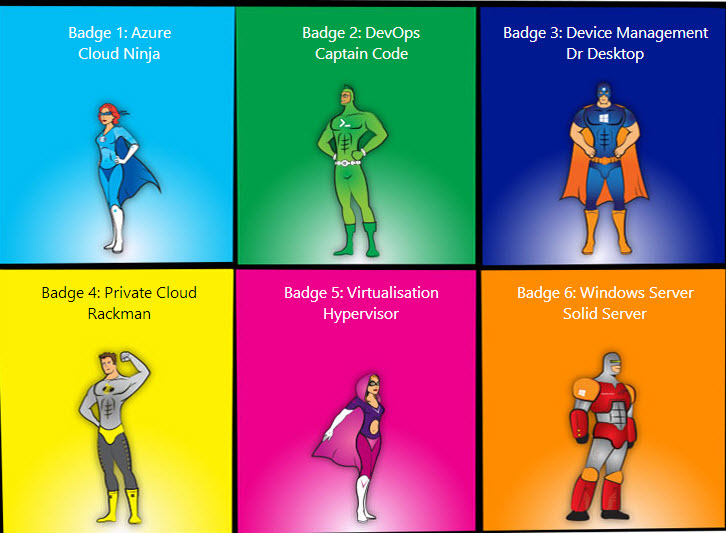 Whilst discussing the MVA, why not sign up for the UK initiative, MVA Hero a way of choosing your path for study and having a bit of fun at the same time. If this doesn’t appeal to you don’t worry the MVA search engine will find the course you want. I was left with about 6 days to go and in the middle was a really big weekend event that would need preparation and no chance to study for at least 3 of those days. I took the last minute cramming approach and spent 14 hours on Sunday going through the MVA course and scouring TechNet articles for methods to remove licences from Office 365 using PowerShell, to how to deploy a redundant AD FS infrastructure. Trust me there were so many pointers in the course to areas to really work hard on that I was not short of ideas. I had booked the exam for 0900 about 60 miles from home (not many seats available in Prometric test centres in Birmingham so its really great news that Pearson Vue have also recently been awarded the contract to provide tests from September 2014). I set my alarm for 0400 and woke up at 0355 – I set to a last minute or last 3 hours of revision of the key topics. I followed the advice from my previous post. My technique is to copy the areas to be studied into a OneNote notebook and to create links to all areas for TechNet, MVA other blogs and pdf’s. Remember the people that write the exams have to get the content and ideas from somewhere and when you have taken some exams you will quickly find which Microsoft approved resources are useful and which are not. Final piece of advice – don’t get bogged down in too much trivia. Do run through wizards live to see what you can and cannot do at each stage to achieve something. As an example (not from my exam – as that would breach the NDA). 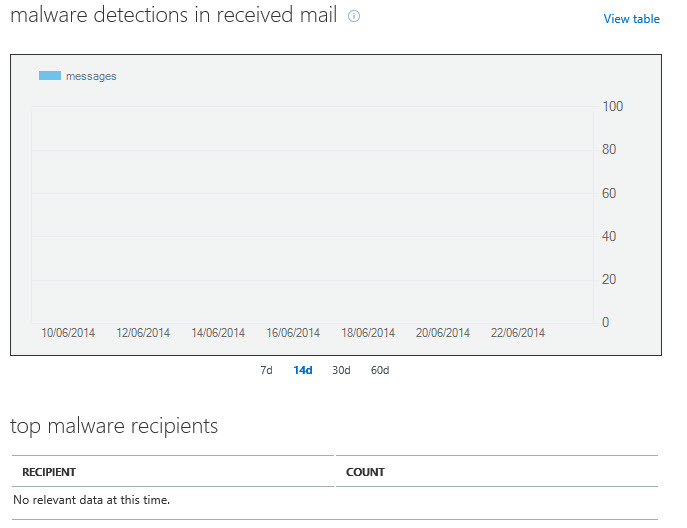 If you are looking at Exchange online, and want to work out how to track or manage malware detections in your email. There are several ways to do it but not all of them would answer the question, so read the question carefully. In this example the exchange online protection section has a malware filter where settings and rules are created, it also has a quarantine section where the relevant message would be listed. 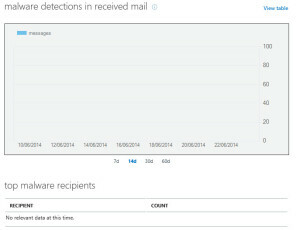 But if you wanted to track malware received or sent over a period ranging between 7 days and 60 days then you would not use the Exchange management portal you would use the Office 365 admin portal and choose reports. See below. These are taken from the Office 365 portal and clearly show what is asked for but the question may ask specifically for Exchange Online – which may confuse you. Clicking on the malware detections in received email would show the second screen where you can easily answer the question. None of this is available in Exchange Online. I stress that this is not a question I have had or have seen. It is representative of the tricks and traps that such a complex product or suite of products can lead you in to. If you had not drilled down through all the available menus and sections you would NEVER come across this section, buried three levels down. 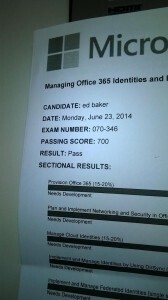 All Microsoft exams require a passing score of 700, a maximum score is 1000. The theory is that once you reach 700, there is absolutely no difference between a score of 700 and 900 because the questions are different and the exam has a set number of types of question and in each area they all get marked and scored differently. I have read the theory seen the video where Liberty Munson Microsoft’s PRINCIPAL PSYCHOMETRICIAN, LeX Products explains this and I confess I absolutely do not understand this. Suffice to say I was happy with the result and will now hope to give myself more time and try to produce a couple of posts mid study for the 70-347 exam. The exam this week was all about setting up, and getting working with Office 365, security connections etc. The next exam is all about actually working with the products that make up Office 365 (Exchange Online, Sharepoint Online and Lync Online as well as OneDrive). This is very definitely a greater challenge for me. Watch this space, i cannot commit to a date as I have an even busier July that I did June (I am off to Seattle for the internal version of TechEd called TechReady) and I also have to get ready for my next trip on the race track! Don’t forget to ping me any questions you may have @edbaker1965 or leave a comment here.